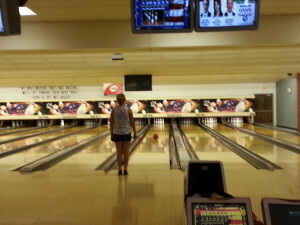 There are 32 lanes for bowling. Each lane has seating for 6. 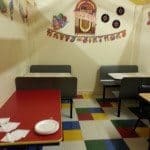 In addition, there are tables and extra seating behind each lane. 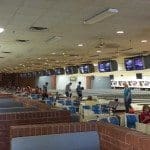 The most important thing to remember about the bowling alley is to call ahead or check the website before planning a trip. 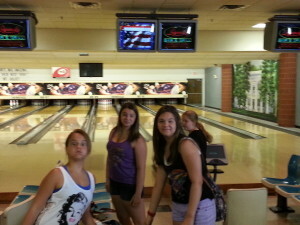 There are lots of scheduled activities throughout the week including league bowling. You don’t want to make the trip just to find out there are no lanes available. 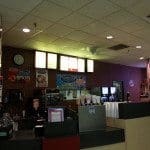 The staff is super helpful and can give you an idea of what the best times to bowl will be. 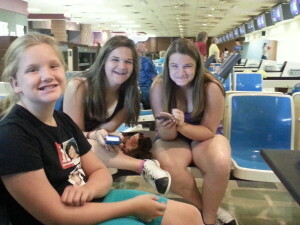 You will be required to wear bowling shoes. The are available to rent for a small fee. Don’t forget your socks! We have shown up in the summer several times with one sockless child. They do have socks for purchase if you forget. 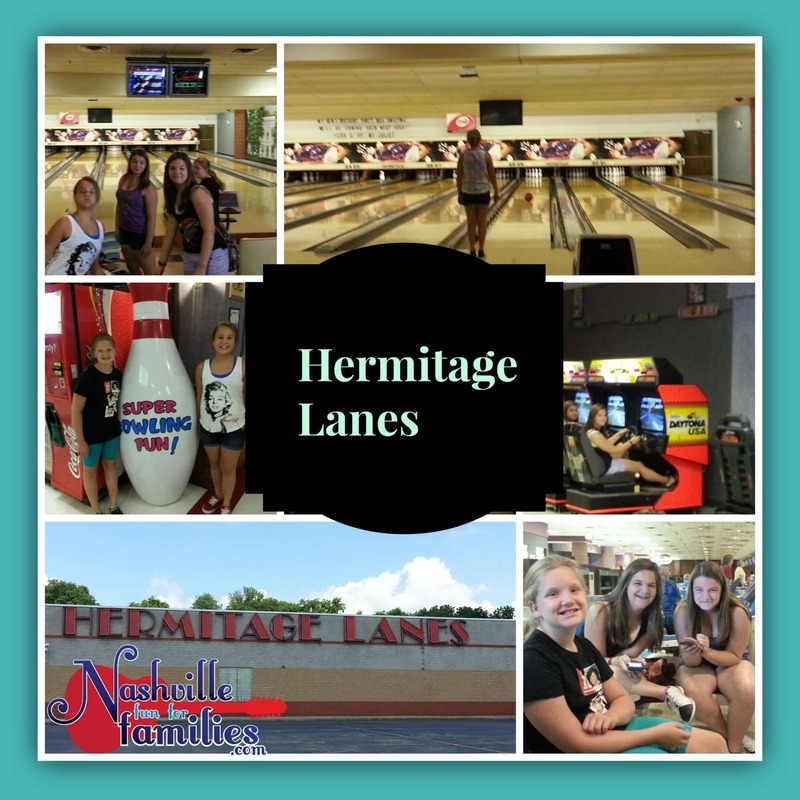 All the lanes at Hermitage Lanes are equipped with bumpers for use by children under 12. 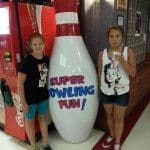 This is a great way for kids to learn to bowl without the inevitable gutter balls. Plenty of bowling balls are available in lots of sizes. Light weight balls designed for young children are kept behind the counter. Just ask an employee and they will give you one. There are lockers available if you need to lock up your personal items while you bowl. You can rent one at the desk where you get your bowling set up. Restrooms with changing tables are available on both sides of Hermitage Lanes. 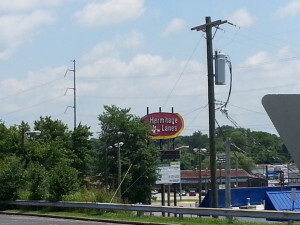 Plenty of food choices are available for purchase at Hermitage Lanes. There are vending machines for snacks and drinks. 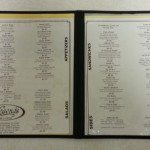 There is also a large concession stand or you can order from the menu at Legends Bar and Grill. On the opposite side of the building you will find the arcade. 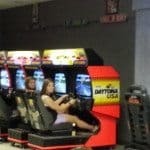 This arcade is quite large and has over 100 games. One whole room is dedicated to driving games. Your little NASCAR fan may never want to leave! The second room in the arcade is huge! 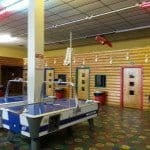 You will find skeeball, air hockey and lots of other kinds of games. 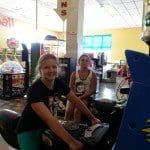 The arcade games require tokens or quarters. The cost of the games vary. The games pay out tickets and there is a redemption center to turn your tickets into prizes.